Once word got out that Dr. Racoma was opening Vista Vision in San Antonio, eyeglass and sunglass companies from around the world were calling for the opportunity to be part of this exciting new practice! Dr. Racoma was able to say “yes” to some of the finest eyewear companies anywhere and they will be showcasing their latest designs at Vista Vision. Take a look at some of the wonderful eyewear we will be featuring and stop in today to try them on for yourself. We proudly carry independent eyewear designers such as Robert Marc, Bevel, J.F. 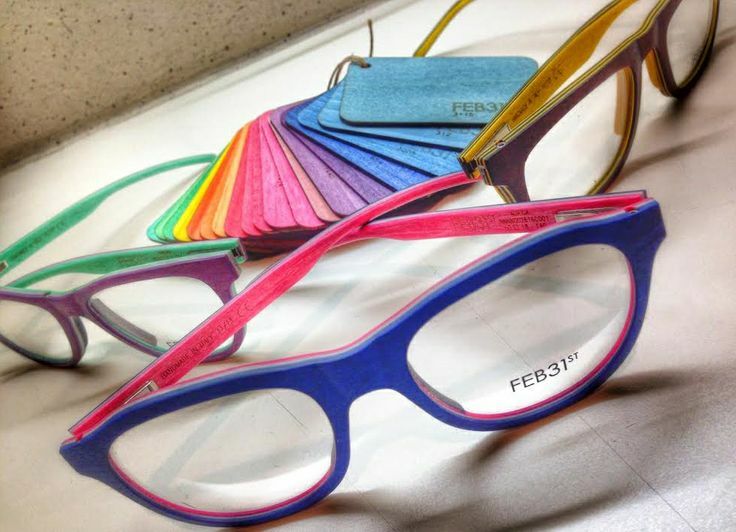 Rey, Blake Kuwahara, Res/Rei, Feb31st, OVVO, and l.a.Eyeworks! We focus in hard to fit prescriptions too, marrying the right eyewear to the right lens just for you. Worried about thick lenses? Dr. Racoma and her optician will steer you in the right direction to ensure a beautiful final pair of eyeglasses. Already had an exam elsewhere? Bring your prescription to Vista Vision and let us help you find that perfect pair (or two!) of eyeglasses and lenses that will help you see better and look better too! Renowned eyewear designer Robert Marc opened his first shop 35 years ago in New York City with the philosophy that “eyewear should enhance the vision of one’s self”. By combining classic and modern elements, Robert Marc creates timeless eyewear designs. Robert Marc has revived the art of the handcrafted frame and subtly brands his eyewear with the trademarked Robert Marc hinge that is inspired by historical design and construction. This signature hinge adds distinction and luxury to each frame and unifies the collection. Jean-François Rey is one of the greatest French designers of top end eyeglass frames; his design signature still makes all the difference. When the "Made in France" logo is put on his designs it’s not only to prove where they are made, it’s also, and above all, to explain the culture of the J.F.REY brand and the skill and know-how of the design teams involved. For his creative team, all environmental elements are a source of inspiration. The story of each model is the subtle choice of colours and combinations of materials, to express the insolence, which is part of each model in the collection. Independent eyewear for independent people. Bevel’s eyewear brings out the natural beauty of the human face. Bevel’s form, function and quality depend on a minimalist philosophy expressed through innovation and striking color combinations. Bevel’s individualist customers appreciate enduring balance and supreme comfort in an evolving variety of sophisticated yet totally wearable frames. Bevel is committed to maintaining a classic but minimalist esthetic, using truly high-quality materials with Japanese production, and constantly seeking innovation so glasses look, fit, and perform better. TRANSLATION: Bevel owners love wearing Bevel. OVVO Optics has been present in the U.S. since March 2011. Its history, however, goes back to Europe of the Cold War era. That’s when a group of scientists, who were working on developing a material for spacecraft and military use, fused surgical steel and titanium, achieving an exceptionally light, durable and flexible material that is also hypoallergenic. Inspired by its remarkable qualities, in 1980 the engineers of the company started using this unique composite to make frames for glasses. They are handmade and manufactured with outstanding precision, mastered by over 30 years of experience. Entirely produced in Germany and Poland, OVVO frames bring exquisite European style and unmatched quality. Weighing barely 0.6 ounces OVVO frames offer unparalleled comfort and unfailing durability. Tests show that stretched flat frames can hold up to 90 pounds without breaking or malfunctioning. Virtually indestructible and highly flexible is also OVVO Optics-patented screw-free hinge that can withstand more than 300,000 rotations (an equivalent of 205 years of usage) and reveal no changes in structure or appearance. FEB31st speaks to all those who look for the essence of things, who are able to see reality with an intense and personal look, who wish to look at the beauty of the things around them. A philosophy that draws its strength and inspiration from its roots, its past, its respect for the people and the resources of our planet to look at a future even closer to their dreams and values. For this reason, FEB31st has selected wood, a material that is precious and symbolic, sensual and rich in history, elegant and natural, ancient and modern, to be the interpreter of its utopia, through innovative glasses in which color is one of the main features, which expresses a contemporary sensitiveness that seeks uniqueness in sobriety and marries past and future, in a synthesis of lightness, simplicity and sustainability. Blake Kuwahara is recognized as one of the preeminent designers in eyewear today. Kuwahara, who also has a doctorate of optometry degree from UC Berkeley, gained international acclaim for his groundbreaking use of engineering and production techniques to reinvent the way eyewear design is approached today. RES/REI has been creating hand-assembled eyewear since 2011. A distinctive design coupled with an excellent handmade production have helped to make RES/REI an Italian brand recognized for quality and innovation. RES/REI aims to give credit to the Italian craftsmanship - RES/REI is completely made in Italy, from the first idea to the final product. We boast that RES/REI is “Handmade in Italy with love”. l.a.Eyeworks began on September 9, 1979 when two opticians, Barbara McReynolds and Gai Gherardi, opened a single storefront on Melrose Avenue in Los Angeles, California. The original whim for this adventure? To challenge the prevailing norms of eyewear with proposals for a new, provocative revelation of the face. More than three decades and hundreds of frame designs later, l.a.Eyeworks remains a privately owned house of optical imagination, encompassing two namesake retail stores in Los Angeles and a wholesale company that channels its influential designs to a global network of independent retailers. For over 30 years, Tartine et Chocolat has been focused on children’s eyewear. Using their signature motifs of bows, embroidery, stripes, and shields, Tartine et Chocolate captures the charm of childhood with a chic and timeless feel. Their elegant collection has built its reputation and success on an acetate range that is without doubt the fullest on the market. Top-quality children's eyewear built to stand the test of time.